1. 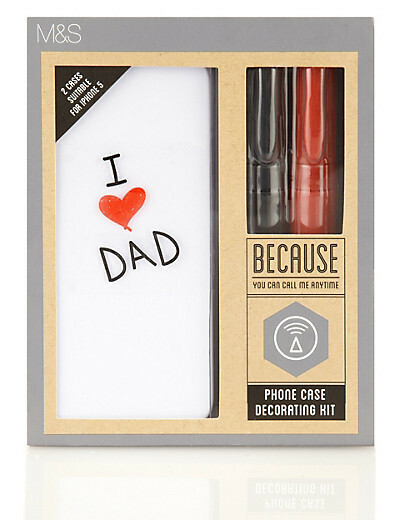 How about getting the kids to design dad a bespoke phone case? Marks and Spencer are doing this fabulous phone case kit. 2. Waitrose online are doing some fabulous Father’s Day gift hampers. 3. For those dads who love to bury themselves in a book, how about browsing Waterstones for the latest hot read. You will get 3% back on any purchases you make at the same time! 4. We love this fitness tracker with inactivity alerts from John Lewis for active dads or dads that need to get off the sofa! 5. Help golf-loving dads tee-off with 3% Kidstart savings at Golf Gear Direct. 6. How about getting a magazine subscription for dad this year? It’s the gift that keeps on giving! Get 10% back for your kids on UK Subscriptions from BBC Magazines whose publications include Top Gear, Gardener’s World, Match of the Day, Good Food, Who Do You Think You Are?, and Sky at Night among others. 7. One of the best destinations for bespoke and unusual gifts that you won’t find anywhere else is Notonthehightstreet.com. They have some great ideas for Father’s Day treats. Shop online via Kidstart and get 3% back on all your purchases. 8. 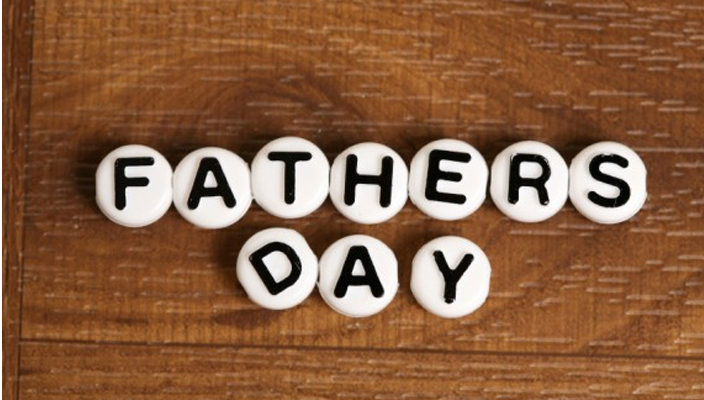 Menkind offers a wide range of gadgets, gizmos, experience packages, drinking games and accessories for the father figure in your life. Shop here and get 5% back! 9. If your dad is the daredevil type who would enjoy driving a Porsche around a race-track, or free-falling from a plane, Red Letter Days will have the package for you! Plus, you’ll make an incredible 10% back if you book via Kidstart. 10. Is your dad a whiskey connoisseur? If so, why not treat him to a bottle of the finest, and take your pick from The Whisky Exchange’s range of over 2000 different varieties from single malt to Irish whiskey. Here’s to all the great dads out there, especially the ones doing the 8am Sunday football run!